But I did succeed in my 30 for 30 challenge. The goal was to work on one major project for at least 30 minutes for 30 days. For someone like me who bounces from cross-stitch to cross-stitch, it was going to be tough. I’ll admit there were times that I wanted to work on my Halo project or start something different but I stuck through it. 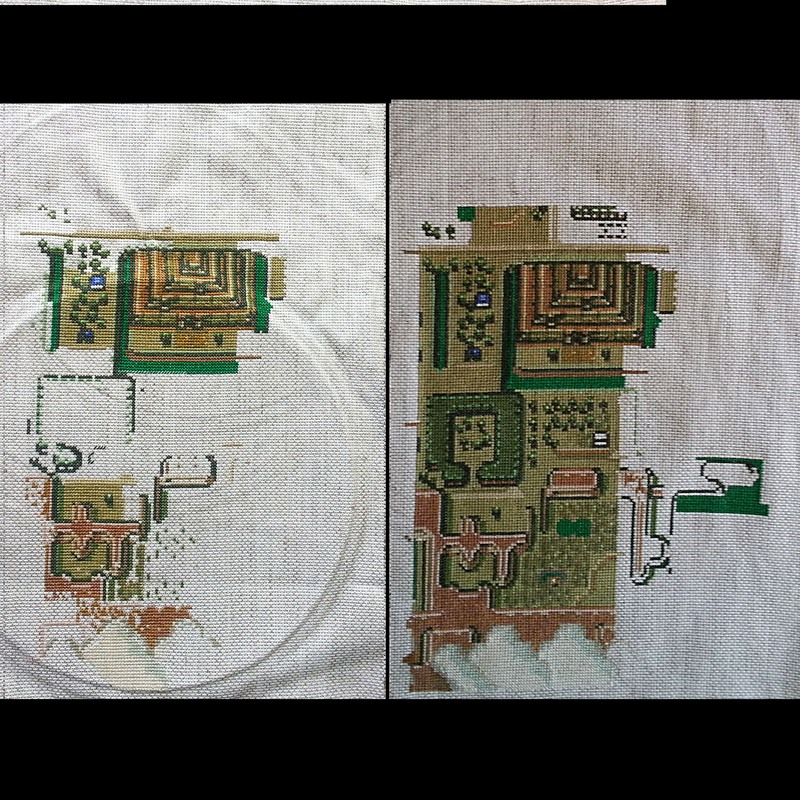 For my endurance, Hyrule is a bit closer to getting finished. I should say that I didn’t work on Hyrule for 30 minutes each day. On average, I spent about an hour or so on this sucker. That brings the worktime on this project to about 75 hours so far. My goal is to have this finished by August. I would love to finish it in June before E3, but I have a feeling that sooner or later (read: sooner) I’m going to suffer from Hyrule burnout and shove this in my closest for a couple of weeks. A big thank you to those who commented, liked, retweeted over the past month. The support was so appreciated. Progress will continue to be posted on my Instagram. Wow, that is some serious cross stitch! Congratulations on the patience to get that far.